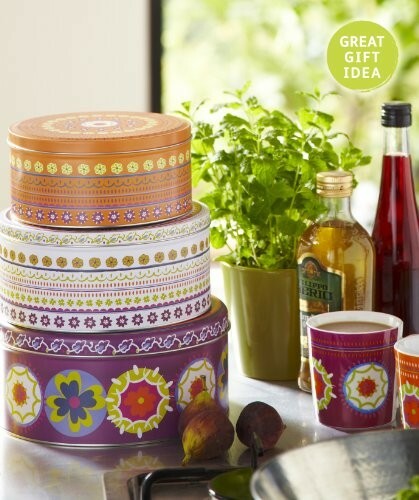 Set of 3 tier cake tins by Cooksmart in their beautiful Suzani design. The large tin comes in a lovely aubergine purple, the medium in white & the small tin in orange. They feature the Suzani floral design which many other accessories are available in. Matte finish. Stackable Within Each Other. Size: Large 21.9 cm diameter x 10.3 cm, Medium 19.8 cm diameter x 9.2 cm, Small 17 cm diamter x 8.2cm. View more items in the Suzani Range.